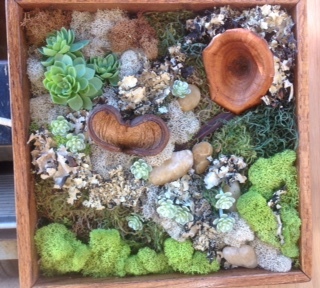 Plant Friends create preserved wall art designed with all different varieties of Moss. 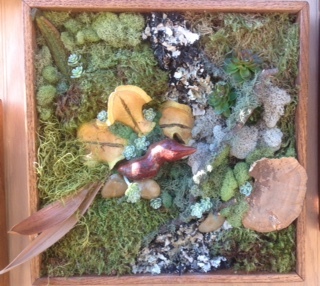 We use different colors and textures of Moss with Artistic elements to create an ambience of outdoors on your wall. We bring the outdoors into your living space, with no maintenance. Creating a Zen like environment in your living space. 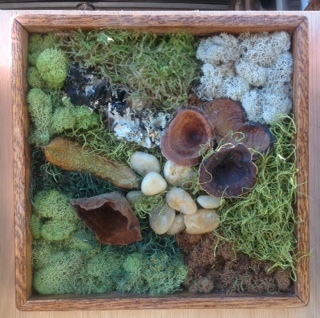 Our Preserved Moss Wall Art begins with a custom designed Sub straight made out of reclaimed wood. The finished colors of the frame come in natural reclaimed wood finish, black, white and brown tone stains bringing out all of the beautiful wood grains that are naturally in the wood. 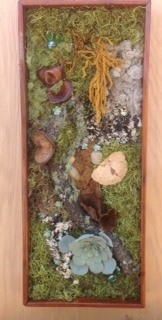 Plant Friends have pieces that are simple in content with textures and colors of moss with embellishments of natural wood pieces and pods. 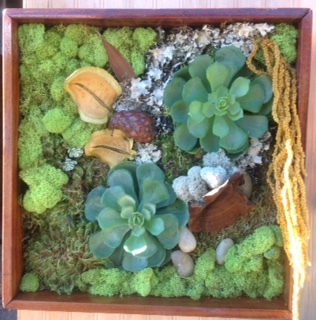 Others we use natural looking embellishments to enhance the piece we are designing. There are not any two pieces created the same because of the artistic elements nature creates are not identical. We can create series of panels, or customize our pieces to enhance whatever your special space depicts. The sizes we create are only limited by your imagination. 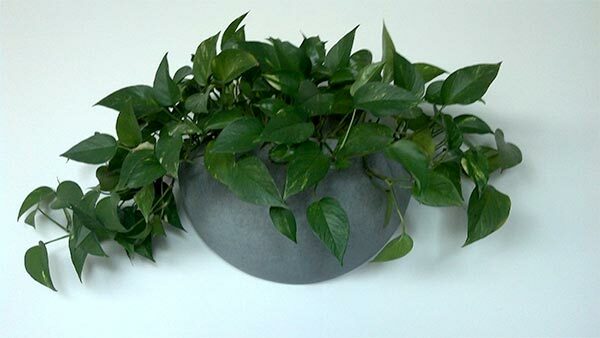 Plant Friends can design whole walls, custom designed for you. We offer small size frames to set on desk tops and book shelves, to any size wall art needed to embellish your space.